Pokemon Go’s popularity exploded like a firestorm. The mobile hit leapfrogged Twitter in active users in just days after launch, and Nintendo’s stock price has risen 57% since. Expectations of further monetizing Nintendo characters are high. But let’s think about the reverse – could Nintendo be a prime example of how to short stocks? Are the lofty expectations for Nintendo realistic, or is there irrational exuberance? Pokemon Go is certainly not the first mobile game with high expectations, and it won’t be the last either. In 2013, a Japanese game developer called Gungho Entertainment released Dungeons and Dragons, wich monopolized mobile usage among Japanese teenagers. Gungho’s stock skyrocketed 2100% in just 5 months. But as the game waned, Gungho’s stock price has dropped 80% since. And before Dungeons and Dragons, there was Farmville. A similar story played out with its developer Zynga. Each case is different. Whether history would repeat itself in Pokemon Go is up for debate. But irrational exuberance is certainly one of the central themes in developing a short stock pitch. Good advice on how to short a stock is notoriously difficult to find. There are a plethora of volumes written on finding undervalued investments to go long. But what would make a good short stock idea? Is identifying unrealistic hype simply enough? I’ve written over 30,000 words detailing what it’s like to have an investing career. I’ve laid out the step-by-step process to get a hedge fund job for both experienced professionals and MBAs. What’s the one key takeaway from these guides? Having a killer stock pitch is what matters the most. Making a strong stock pitch is the way to get your foot in the investment industry. It’s how you can become a professional investor. Let’s go into the stock pitching process in detail. This is a deep dive into analyzing and pitching stocks. We’ll go over how to screen for stocks, develop an investment thesis, analyze the company and industry, value the business, and assess the catalysts and risks. A lot is taught on investing theories and frameworks in school. But little is said about how investment analysts actually pitch a stock. If you’ve ever taken a finance class, you’ve probably left wondering: how do I actually put together a stock pitch the way professional investors do? 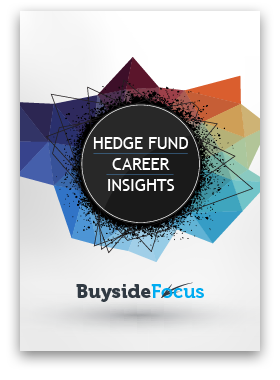 How much does technical analysis matter on the buy side? Ben Graham once said that in the short-run, the market is a voting machine; in the long-run, the market is a weighing machine. What's on your mind about the buy side? Ask a question and get the inside answer.